Foodie culture may seem like an innovation of the Instagram age, but it’s far from new. 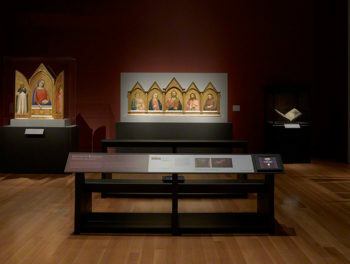 Two exhibitions at the Getty bring alive the central role of food in medieval, Renaissance, and early modern Europe through tasty evidence left behind in art. 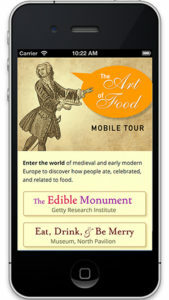 The Edible Monument: The Art of Food for Festivals and Eat, Drink, and Be Merry: Food in the Middle Ages and Renaissance feature illuminated manuscripts, prints, and rare books that shed light on how people ate, feasted, and thought about food centuries ago. Join us this season on The Iris as we explore stories from the intertwined histories of food and art, and follow us on Twitter and Tumblr for weekly tidbits on the #ArtofFood. Explore the astonishing “edible monuments” of early modern Europe in this exhibition featuring rare books and prints from the Getty Research Institute’s special collections. Learn how (and why) bread, sausages, sugar, flowers, fruit, and more were transformed into towering artistic creations for banquets and festivals. Find it: The exhibition is in the Getty Research Institute galleries, just west of the Museum buildings at the Getty Center. 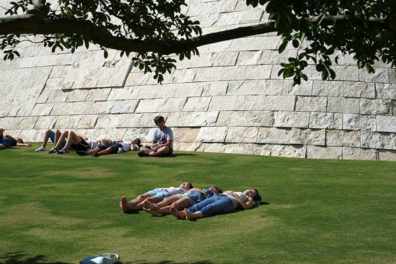 Pass through the square travertine archway just to the right of the Getty Center steps. Don’t miss: A fantastically detailed temple of Circe sculpted of sugar following a historical French design. 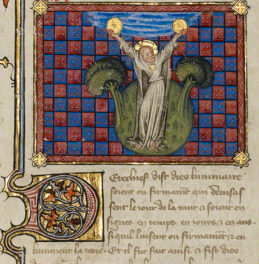 Browse gorgeously illuminated manuscripts from the Getty Museum’s collection depicting the cultivation, preparation, and consumption of food. Images in these handmade books offer a glimpse at cooking techniques, popular dishes, grand feasts, and class distinctions of centuries ago, and reveal food’s deep symbolic meanings in Christianity. Find it: The exhibition is in the Getty Center’s North Pavilion, plaza (ground level). Don’t miss: The world’s earliest depiction of a pretzel. Journey through the exhibitions with a free two-part tour starring six historical foodie characters. The tour is especially suited to kids and families, inviting you to look closely at fun details in the artwork as you discover how people ate, celebrated, and related to food in early modern Europe. Access the tour on your smartphone here. 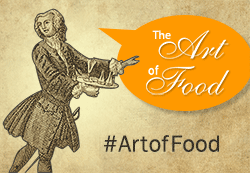 Join us all season to talk food, from Renaissance cookbooks to DIY sugar sculptures. All events are free except the hands-on sugar workshop with Ivan Day on January 31, which is a pretty sweet deal at $10. RSVP at the links below. Audio of talks will be posted on our Getty360 Live playlist on Soundcloud. The Oxford Companion to Sugar and Sweets—The editor of this indispensibly tasty new book, food historian Darra Goldstein, talks with Edible Monument curator Marcia Reed. October 21, 2pm. Can Gluttony Be a Virtue?—Should we all just lighten up about calories and fat? Evan Kleiman, host of KCRW’s Good Food, moderates a discussion. November 11, 7:30pm, at Redondo Beach Historic Library. 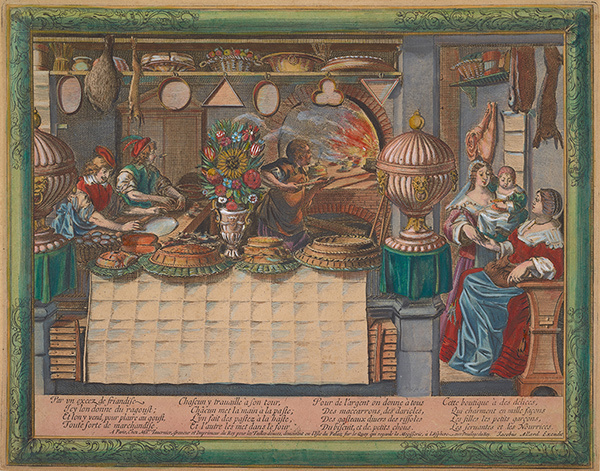 Edible Delights in History—Getty exhibition curators Marcia Reed and Christine Sciacca join culinary historians Anne Willan and Nancy Zaslavsky to talk food. Saturday, November 14, 2pm. Getty Garden Party—Tour the Getty Salad Garden, pick up a cocktail, and enjoy a live DJ set by KCRW’s Anne Litt. Saturday, November 14, 6–8:30pm. 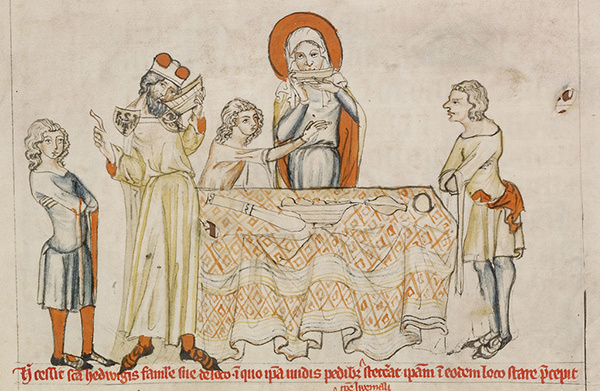 Dining Well at the Medieval Court—Art historian Christina Normore explains how the medieval 1% saw banquets as ethical, as well as edible, affairs. Sunday, November 15, 3pm. Serving Meals Directly from Renaissance Banquet Literature—Food historian Ken Albala fact-checks the foodie lit of early modern Europe. Sunday, January 10, 4pm. Making Sugar Scupture—Sugar maestro Ivan Day shows you how to ornament an 18th-century cake using original sugar-sculpture molds. Sunday, January 31, 11am and 1pm. $10. Eating the Edifice—Ivan Day is back for an illustrated lecture on five centuries of edible table art. Sunday, January 31, 4pm. Royal Cavities and Sugar Consumption in Early Modern Europe—When sugar became all the rage in Europe, what happened to everyone’s teeth? Art historian Joseph Imorde reveals the bitter truth. February 21, 4pm. Bartolomeo Scappi’s Paper Kitchens—A journey through the first illustrated cookbook with art historian Deborah Krohn. Sunday, March 6, 4pm.